Especially for the little ones and the smallest! washable up to 30°C - without softener ! 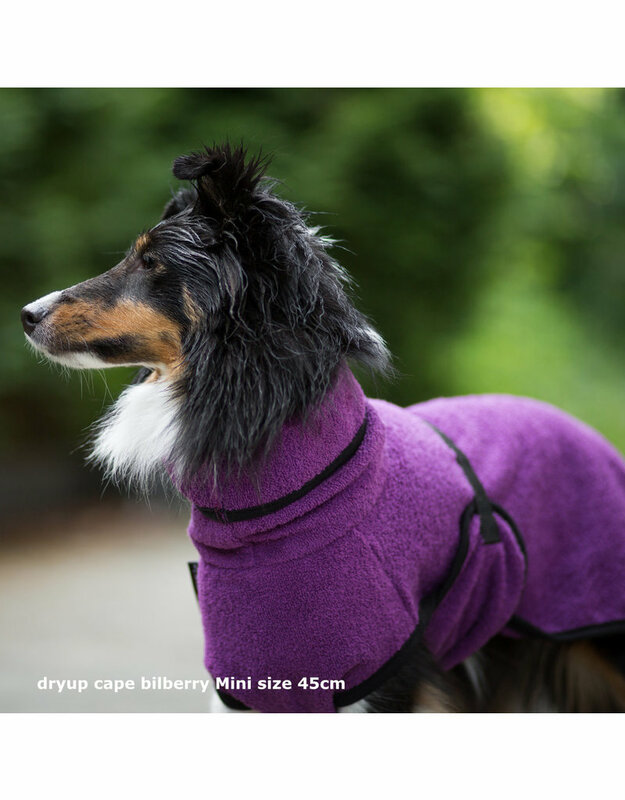 The original DRYUP CAPE is made from 100% cotton terrycloth, a natural product. 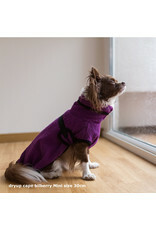 Especially for drying your dog after a walk in the rain, a shower or after swimming. 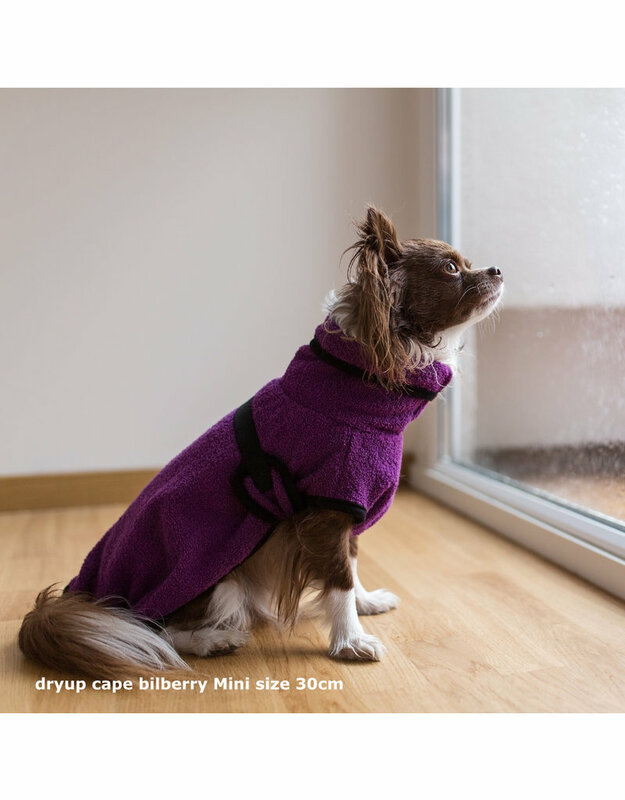 With the ingenious DRYUP CAPE the dog's coat can be dried quickly and easily without scratching! 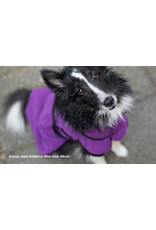 As a positive side effect, the car, motorhome or apartment remains dry and clean. 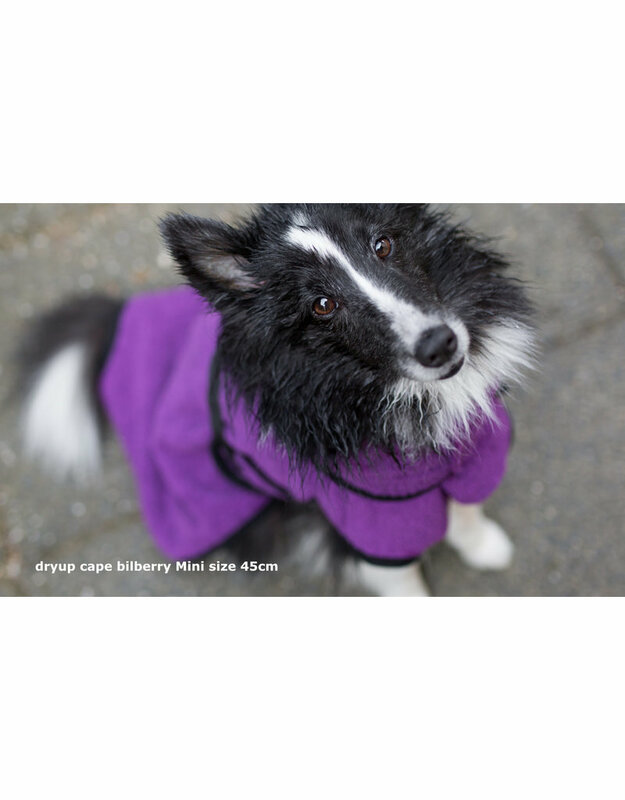 In addition to moisture, the DRYUP CAPE also binds the dirt that is in the fur, which is extremely practical. This dirt can then be simply shaken out of the cape and is therefore not on the floor in the house. The dog does not sweat and still dries off quickly! He can lie down anywhere and nothing gets wet or dirty there! 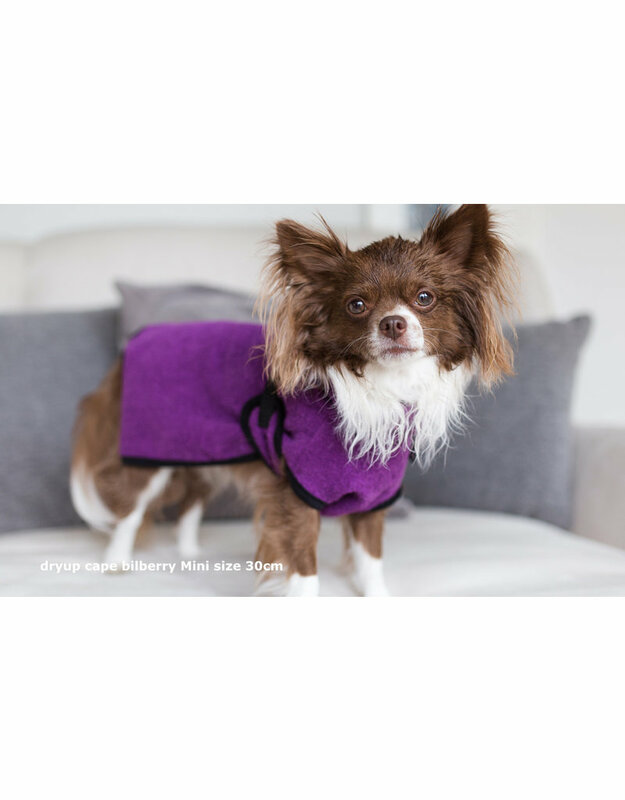 - The typical large loops of the terry fabric increase the surface of the fabric enormously, so that the tissue has much more volume than all other types of tissue and thus can absorb a lot of moisture. 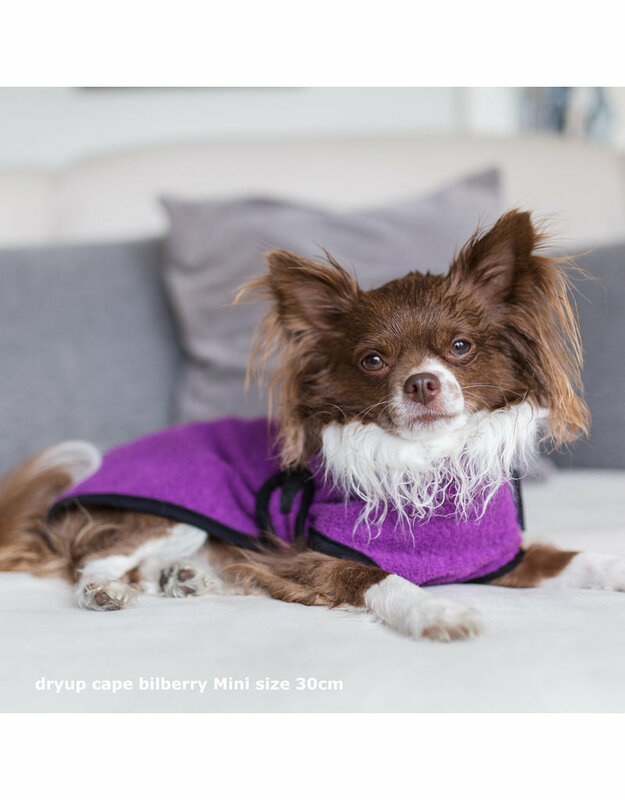 The original dog bathrobe DRYUP CAPE Mini is optimised for small dog breeds and sizes. 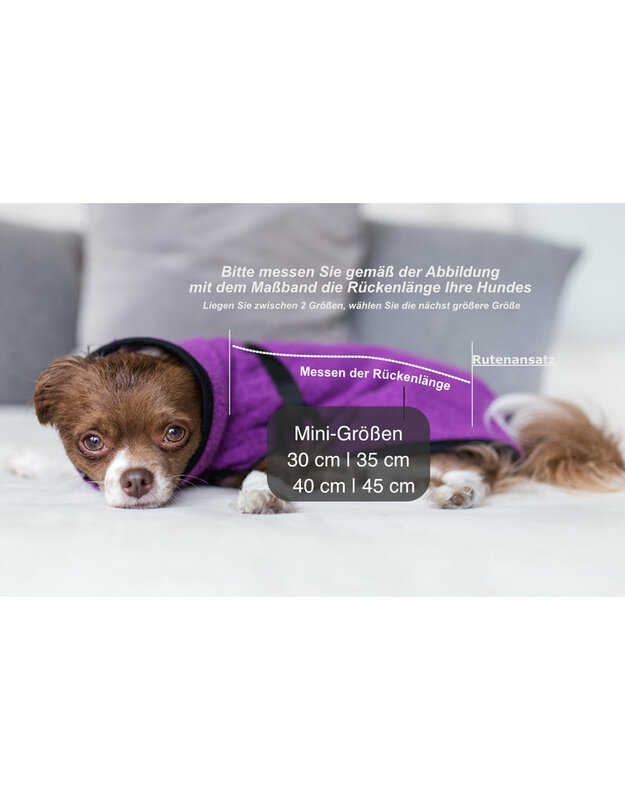 The head of the dog is stuck through the long turtleneck of the cape. Then the cape is pulled over the back and the tail is put through the hole for the tail, which is located in the back of the cape. To close the cape, the abdominal bib is pulled between the forelegs, covering the ribcage and abdomen. 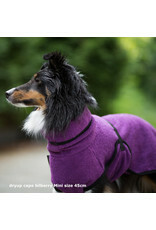 With the practical buckle closure, which does not bother you on the back, the cape is attached non-slip. 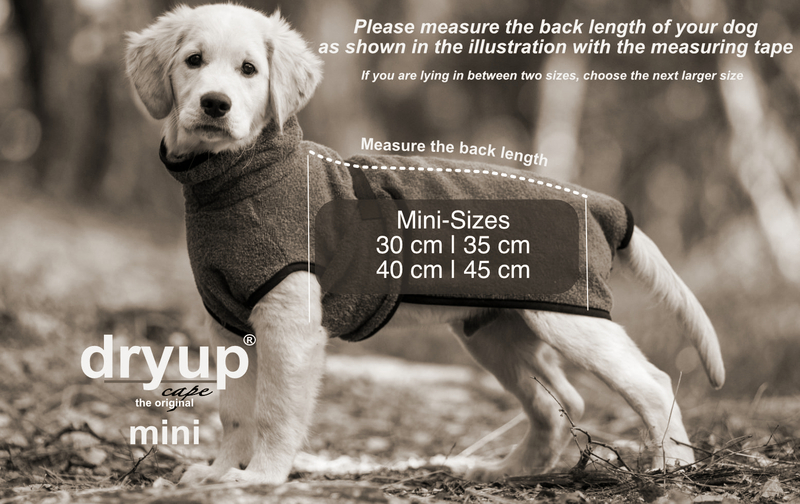 With the buckle closure, the body size of the Capes can be adjusted perfectly and individually, which guarantees a great fit. Consciously, we have renounced in this cape on Velcro closures, since in these often collect hair and therefore the burdock no longer works optimally. 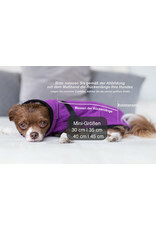 The long turtleneck also allows a drying of the neck or can be used as a "hood"